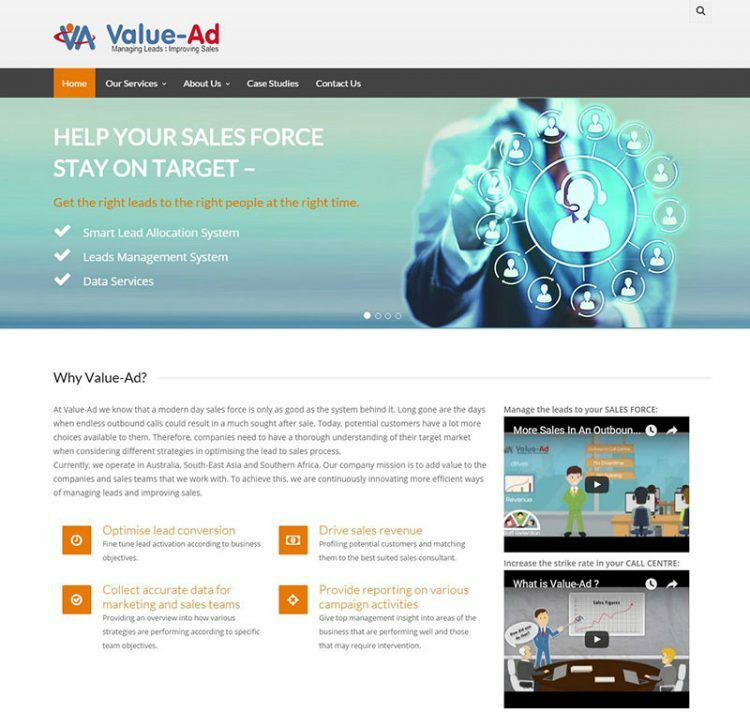 Value-Ad aims to add value to the companies and sales teams that we work with. They are continuously innovating more efficient ways of managing leads and improving sales. Value-Ad, an Australian based company, approached us to design and build them a modern CMS website that reflected their products sophistication and ingenuity. To simplify things we suggested that we create one site for both web and mobile, that way it’s updated once. They did not want to be reliant on outside resources to manage and update their content we suggested WordPress as a CMS. As per normal, WordPress was a natural choice and we set to work. Michelle did the design and I built the CMS, HTML5, CSS and front end functionality.